Yes, there is always two of us on every wedding we shoot. We believe that both Bride and Groom should be in a spotlight on their preparations. We believe that your mom’s tears are just as important as getting enough shots of the couple during the ceremony. We believe that your reactions are priceless during the speeches. All of this will only last a second and then will be lost forever. So we come prepared! Beautifully printed designer album for every couple! Thousands of precious electronic pictures are lost every day due to phone theft, laptop crashes, computer hacks and hard drives damages… We refuse to be part of it! You’re welcome! Elegant online gallery for you to share with your friends and family or just to crash facebook and make your boss jelous! We know how frustrating it is to wait for months and months for your beautiful photos. We also know how much you want to show them while your wedding is still the hottest topic at your office, knitting club and your grandma’s tea parties. 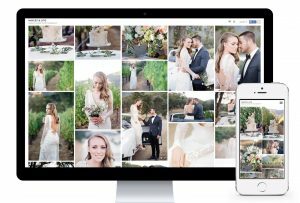 And this is exactly why we promise to have your brand new, shiny, edited photos ready for you within two weeks from your wedding!